As stated in an earlier post, employee engagement (or lack thereof) has a major impact on company success. As recently as November 2015, Gallup estimated that only 32.1% of U.S. workers are engaged, which ends up costing companies $450 billion to $550 billion per year! Employee engagement has enjoyed much attention over the last few years, but diversity and inclusion have only recently re-emerged as important issues. A 2014 report from Deloitte revealed that in a list of 12 talent management trends, diversity and inclusion ranked last in perceived urgency, while retention and engagement ranked second, behind leadership. That’s quite the difference, especially when considering that employee engagement much more closely related to diversity and inclusion than one might think. 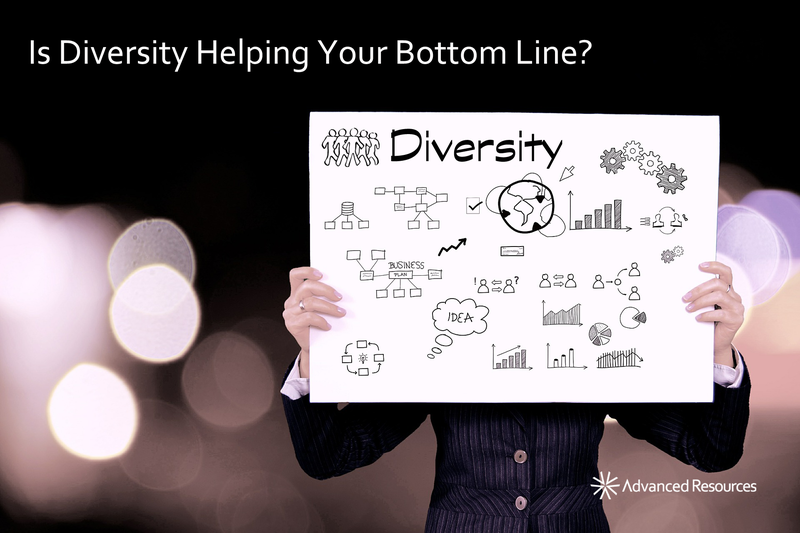 Advanced Resources prides itself on its commitment to diversity. Our goal is to create and maintain a workforce that racially and culturally reflects the diverse communities we serve at all levels of the organization. Advanced Resources strives to foster a culture and environment that embraces and welcomes everyone who interacts with our organization. It is a priority at Advanced Resources to work with each individual in a way that is sensitive to and respectful of each person’s cultural background. Contact us today to learn more.